ASG Heli Guides are the Best in the Business. Our guide crew is ready to show you the best heli boarding and skiing in Alaska. Most of us have been apart of the Alaska heli ski industry for years, and our combined knowledge and expertise is why ASG is so popular today. Our guides have been selected for their ability to provide a comfortable yet exciting heli experience, while also putting safety as the top priority. Dave came to Alaska in 1999 as a pro snowboarder and competitor in the original King of The Hill snowboard contest hosted by Nick Perata. 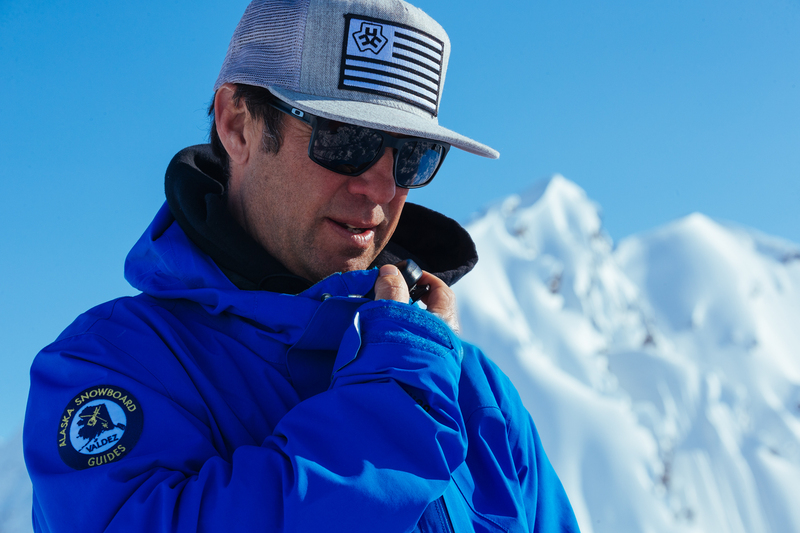 In 2011, Dave launched Alaska Snowboard Guides. His natural instinct for snow quality, line choice and stability assessment make him a snowboard guide that skiers love too. Dan has been heli guiding on Valdez’s Thompson Pass since 1995. “Back in the day” he worked with Doug Coombs and Dave Muccino when there was only one helicopter operator in Alaska! Dan has also Heli guided in New Zealand as well as leading film crews to the summits of 6000m (20,000 foot) peaks in South America. He still skis and rides 100 days a year in the Swiss Alps and is happy to guide on his snowboard or skis. SLF Level 3 from the SLF Davos (The National Avalanche Forecast Center of Switzerland). Justin has a long history in martial arts. As a black belt he has competed at the highest level. He has been guiding film / photo crews since 1996 and has spent countless days on both both sides of the lens as a Snowboarder Skier, Snowmobiler and Professional Photographer. After 5 seasons of snowmobile guiding film and photo crews in Alaska he joined the team at Alaska Snowboard Guides where he is the Head Snowmobile Guide and a Helicopter Guide too. Justin is one of two team members who can guide on either a snowboard or skis. His ability to frame perfect images has landed him countess images in publications around the world. Want your own personal photographer for the trip? – Call or email us for the details! If filming or photos is what you are looking for Justin is the answer. Chad has been an Alaskan Heli Ski Guide since 1999 and has amassed well over 1,000 guided runs in the Chugach and Tordrillos. When he is not guiding he spends his time in Whitefish Montana where he is the owner of Runner Up Sports. His skiing ability and run selection makes him a favorite with both snowboarders and skiers. Grew up in Southearten Idaho and is a Ceritfied Surgical Technologist when he is not working as a guide or playing in the mounatins that surround his home in Anchorage, Alaska.